Rock, Rock, Rock! is a 1956 black-and-white motion picture conceived, co-written and co-produced by Milton Subotsky and directed by Will Price. 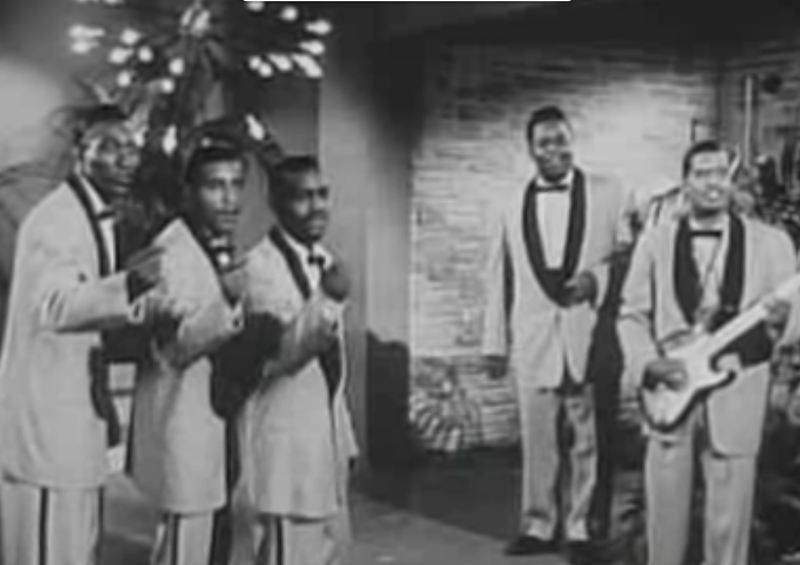 The film is an early jukebox musical featuring performances by established rock and roll singers of the era, including Chuck Berry, LaVern Baker, Teddy Randazzo, the Moonglows, the Flamingos, and the Teenagers with Frankie Lymon as lead singer. Almost every member of the cast was signed to a record label at the time, which was credited along with each star. Later West Side Story cast member David Winters is also featured. Famed disc jockey Alan Freed made an appearance as himself. The movie has a fairly simple plot: teenage girl Dori Graham (played by then 13-year-old Tuesday Weld, with a credited Connie Francis dubbed in as Dori’s singing voice) can’t persuade her dad to buy her a strapless gown and has to get the money together herself in time for the prom. Jack Collins plays the frustrated dad. Valerie Harper made her debut in a brief appearance as an extra seated at the center table during the performance of “Ever Since I Can Remember” by Cirino and the Bowties and can be seen after the performance of Frankie Lymon & the Teenagers. This was also Frankie Lymon & the Teenagers’ film debut. In 1984, the film entered the public domain (in the USA) because of the claimant’s failure to renew its copyright registration in the 28th year after publication. The film’s numerous musical numbers may have been copyrighted separately and thus the film may not entirely be public domain.